Republican legislators have introduced bills in the Iowa House (HSB 110) and the Iowa Senate (SSB 1101) that are a direct attack on Iowa’s merit-based judicial selection process. The Iowa group Justice Not Politics describes the proposed changes as the largest judicial power grab ever attempted in Iowa. Iowa’s current merit-based judicial selection process significantly removes politics from the choice of judges. The intent of the Republican changes is to overturn Iowa’s impartial selection system and replace it with handpicked political appointees of the governor’s party. 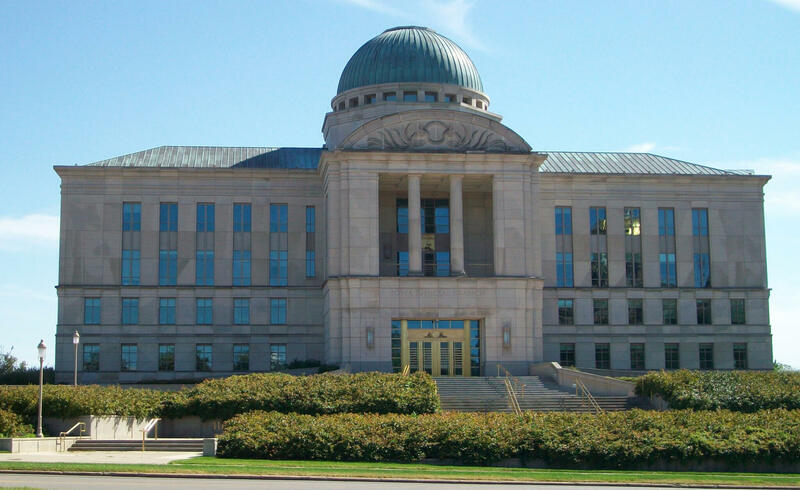 Currently 8 of the 16 members of the nominating commission for Iowa Supreme Court are chosen by the governor and the remaining 8 are democratically elected by Iowa attorneys across the state. The change would guarantee the governor’s party would select as many as 14 of the 16 commissioners. Additionally, the bills would remove the requirement that a current judge chair the commission and replace them with a political appointee, further politicizing the process. The changes would also adversely affect the District Judicial Nominating System. The Iowa Supreme Court ruling in favor of gay marriage and the recent court ruling against the fetal heart beat bill have emboldened Republicans to attack the judicial selection process. Speakers at the weekly Moral Mondays meeting at the Capitol suggested this proposed attack on Iowa’s merit selection is coming from the far right. The Chair of Justice Not Politics, Connie Ryan, suggested that this bill was written by the religious right group, the Family Leader. Senator Rob Hogg of Cedar Rapids said this matches the agenda that the Federalist Society is pursuing in other states. The Federalist Society provided the list of U.S. Supreme Court nominees that President Trump used to select Brett Kavanaugh. Iowa Republican leaders have admitted this isn’t about improving judicial selection but rather anger at recent rulings by Iowa courts. “Frankly, over 20 years-plus there have been a lot of decisions that legislators feel conflicted with what they wanted to do or their intent,” said Jack Whitver, leader of the Senate Republicans. “We may want to just make sure … the governor has a group of people that she can choose a judge from that at least shares her world view,” said Linda Upmeyer, the Republican House speaker. Opponents of overturning the current merit based selection process warn that the insertion of politics threatens Iowa’s reputation for judicial quality. “I just think tampering with that formula is an extraordinarily bad idea,” said Jerry Anderson, dean of Drake University Law School. Iowa’s Justice Not Politics offers a website to voice your objection to this judicial power grab. Could they be any more blatant? “We may want to just make sure … the governor has a group of people that she can choose a judge from that at least shares her world view” – really, Spkr Upmeyer? That’s NOT the purpose of the judiciary! There is a reason (and your view is not it!) why the Judicial Branch is separate from the other two political arms of government. It is precisely to AVOID a series of judges who relect the current “in-party’s” worldview. It rules by law, not fiat! If there was ever any doubt about the direction of this state in the future the onslaught of bills put up by the Republican led legislature this term is crystal clear. We are going backwards and that definitely does not bode well fiscally or personally for the citizens of Iowa.